The United States Patent and Trademark Office (USPTO) is bogged down with patent applications, receiving over 600,000 annually. It's estimated that 70% of patent examiners do not have enough time to review a patent application adequately. The USPTO themselves admit that up to 10% of approved patents should never have been granted. Patents grant the right to a legal monopoly over an invention for 20 years. 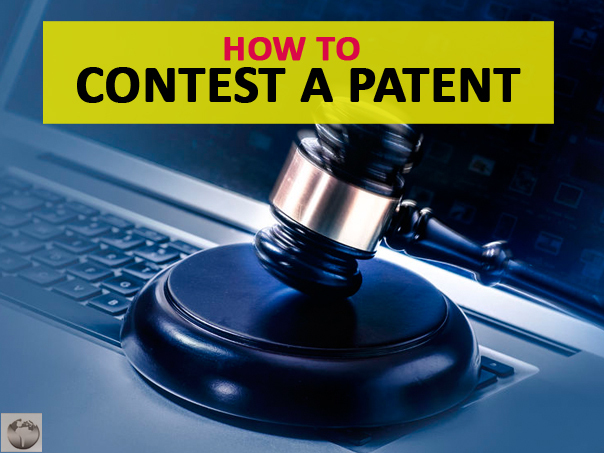 If you believe the USPTO has mistakenly granted a patent that thereby conflicts with your patent, it may be wise to contest the patent you believe was issued by mistake. This process can be done anonymously with the goal of proving to the USPTO that the patent in question did not meet necessary registration requirements. A few years ago, Congress passed the America Invents Act, simplifying the way inventors can challenge patents. The act created Inter Partes Review, which allows proceedings to be conducted before a panel of three administrative patent judges, otherwise known as the Patent Trials and Appeals Board. The USPTO can correct their error and revoke a wrongly-issued patent thanks to the inter partes review system. This system allows poor patents to be rescinded without the need for expensive litigation. Without the inter partes system many patents would not be contested because of high court costs. If you are going to contest a patent, you'll want first to obtain the original patent application in question. This can be found on the USPTO's website. Once you have secured that, you'll want to find "prior art." The prior art will be the fundamental basis of your dispute. Specify which claims in the patent are "not unique." This statement is the most important part of the process of challenging a patent. Your statement should be of considerable length and detail. A patent lawyer can help you craft and file a throughout patent reexamination statement. After this, you should alert the current patent holder that you plan to challenge the claim, and then submit a formal Request for Ex Parte Reexamination. The United States Supreme Court has recently agreed to hear a case, Oil States Energy Services v. Greene's Energy Group. The court's brief states that the case will address "whether inter partes review, an adversarial process used by the Patent and Trademark Office (PTO) to analyze the validity of existing patents, violates the Constitution by extinguishing private property rights through a non-Article III forum without a jury." The Supreme Court heard oral briefs on November 27, and will soon determine the outcome. It appears that the court was split on the issue. During the briefs, Justice Ruth Bader Ginsburg said, "There must be some means by which the patent office can correct the errors that it's made." Justice Elena Kagan followed up, saying, "It's the government trying to figure out whether it made a mistake by granting the patent, which the government sometimes does and knows it sometimes does." However, Justice Neil M. Gorsuch said, "This is not a new idea, that once it's granted, it's a private right belonging to the inventor." And Justice Stephen G. Breyer appeared to be conflicted both ways. At one point, he said, "I thought it's the most common thing in the world that agencies decide all kinds of matters through adjudicatory-type procedures often involving other parties. So what's special about this one?" Later, however, he said, "Suppose that the patent has been in existence without anybody reexamining it for 10 years and, moreover, the company's invested $40 billion in developing it. And then suddenly somebody comes in and says, 'Oh, oh, we-we want it reexamined, not in court but by the Patent Office.'" It will be interesting to see the final results of the Supreme Courts� decision. If they do rule inter partes review unconstitutional, the patent-challenging process will become significantly more difficult.